With the weather being quite mild at the moment, many of us are picking up the trowels and mixing up some concrete for those big projects! But before you start hiring our wide range of concreting equipment, we’d like to present our guide to concrete. Before you get mixing, decide on the strength of concrete needed for the job at hand. High strength concrete needs more cement added to the ratio of cement, sand and stone, whilst more rough applications need more aggregates. Check out this handy table below to give you an idea of the mix you’ll need to consider for your concreting job. Use the formwork or screed rails set at the right level to guide the screed machine. Concrete is poured and placed slightly higher than the finished level, the machine is then pulled or winched down so the slab can ‘strike-off’ the concrete at the correct level. Does not use formwork or screed rails. High slump concrete is placed accurately to the right level. On deep slabs a poker should be used, so the action of compaction doesn’t cause levels to drop. The machine is pulled across the surface of concrete to flatten and level small deviations. 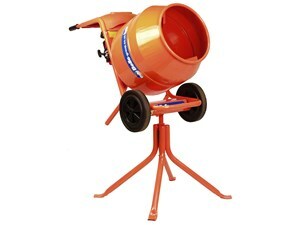 Our summer offer features a roller striker drive unit for screeding. At the end of the screeding process, ripples can be left on the surface of the concrete. For some jobs this may be acceptable, or even desired as the texture increases the plus weight slip resistance on slopes. 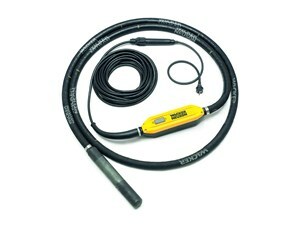 If you want to smooth out any ripples or grooves, a float can be used whilst the concrete is still in a plastic state. 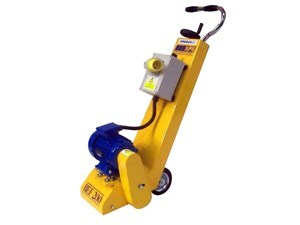 Using a long handle, wide float blades can be pushed or pulled across the surface of the concrete. You can even incorporate a brush into your float, if you wish to re-introduce your own texture into the concrete surface. Alternatively, you can use a floor planer to obtain your desired effect. There you have it! A quick and easy guide to concreting! 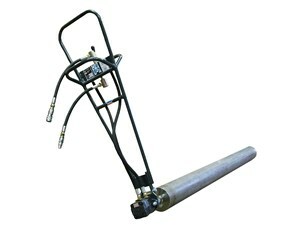 If you’re ready to go, check out our limited offers on concreting equipment. As with many aspects of working on a building site, dealing with cement and concrete is not without its risks. Wet cement is actually caustic for human skin, and can cause chemical burns to exposed skin. Protective equipment is required and workers need to be properly trained to prevent incidents involving both themselves and other employees. For more information and resources on health and safety when concreting, take a look at the Health and Safety Executive’s page on Concreting. To help minimise your risk of injury when working, why not take a look at our range of personal protective equipment.